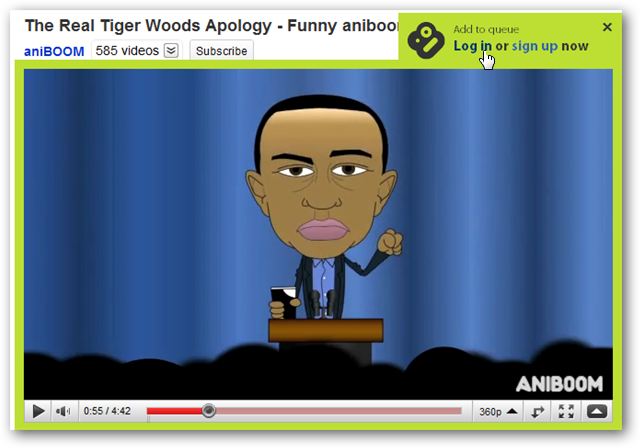 Are you are a Boxee user who is always finding cool videos online you’d like to watch later? 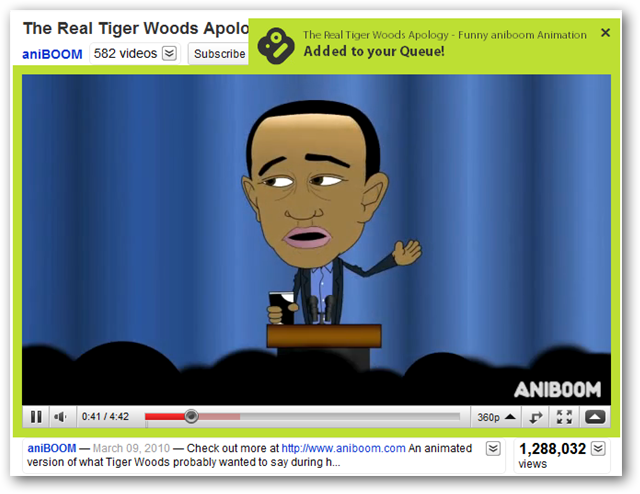 The Boxee Bookmarklet makes it easy to add videos to your Boxee queue directly from your browser. Browse to the Boxee Bookmarklet page. You’ll find the link at the end of the page. Click and drag the the Add to Boxee button up to your bookmark toolbar and release. When you find a video you’d like to add to your Boxee Queue, just click the Add to Boxee button on your browser toolbar. Click Log In link in the green border around the video. 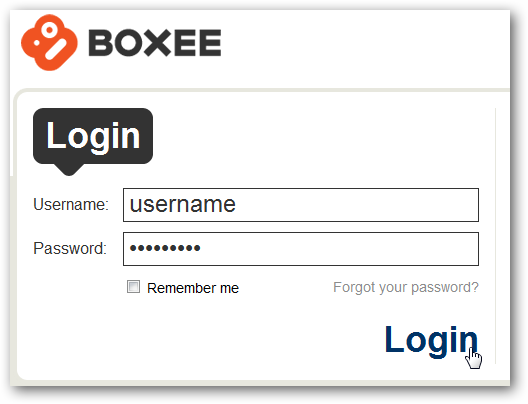 Type your Boxee username and password and click Login. 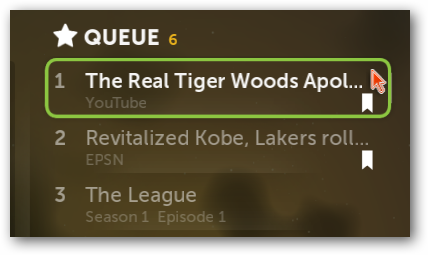 You’ll see a message in the green border indicating that you’ve added the video to your queue. If you try to add a video from an unsupported site you’ll get a message that Boxee couldn’t find a video on the page. When you log into Boxee, you’ll see your video in the Boxee Queue. Just click to play and enjoy the video. 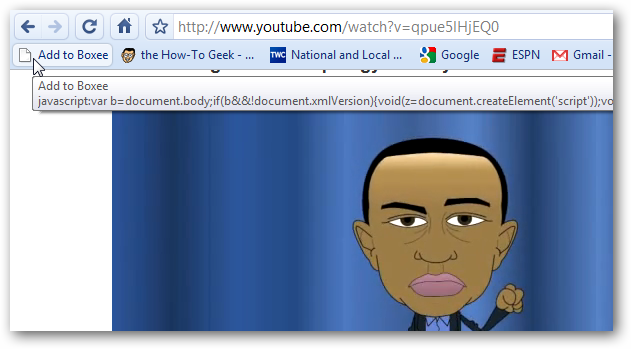 The Boxee Bookmarklet is a nice little tool for saving videos for later viewing, but it does have some limitations. Most of the major video sites are supported, but there are still plenty of videos you won’t be able to add to your queue.